Like the MarineMax 484, the MarineMax 443 was developed to be an exceptionally comfortable cruising boat; placing advanced technology at the forefront of all design and build decisions. 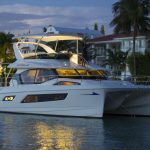 From the hull shape to the selection of materials and manufacturing process, every consideration on this boat was aimed at continuing the pedigree first born through the MarineMax 484. 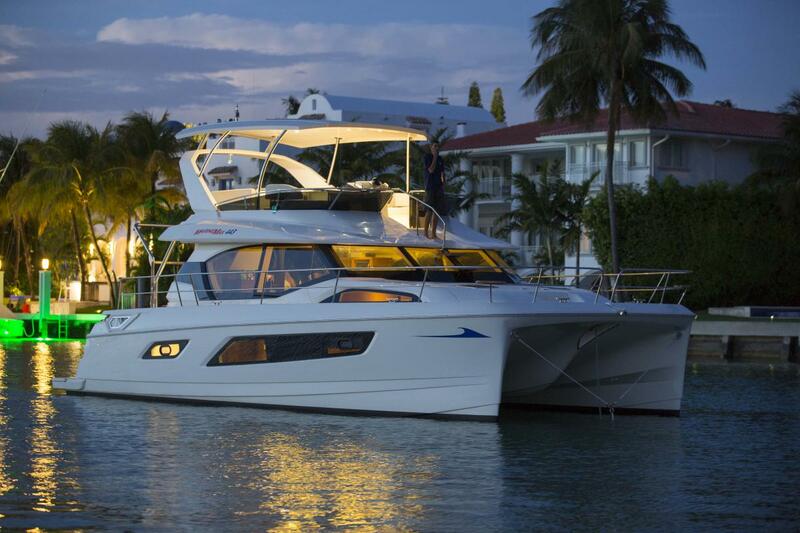 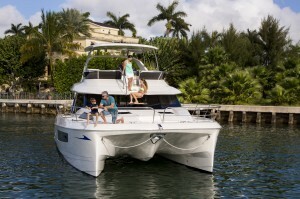 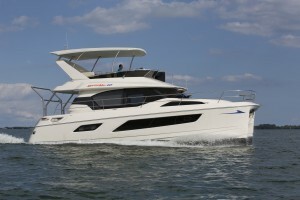 The MarineMax 443 delivers the living comfort and performance amenities as standard on all of our power cats. 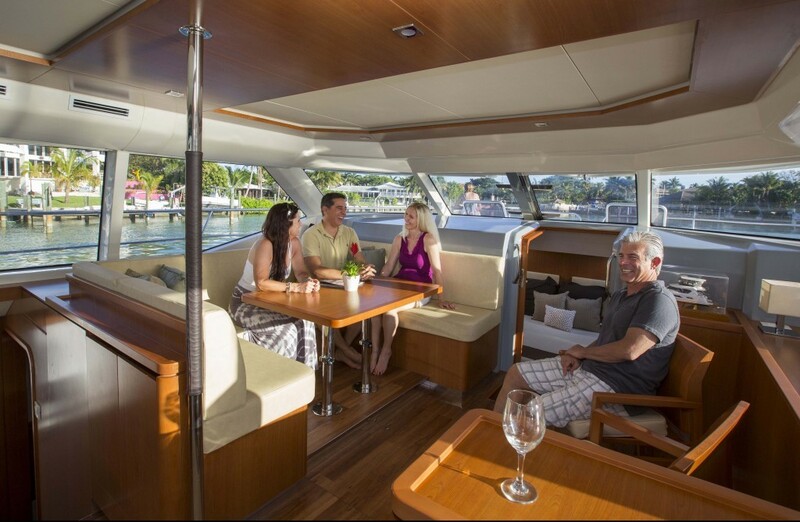 The signature 360 degree view from the salon and galley compliment the boats spaciousness as well as allows the beauty of the Caribbean to shine through. 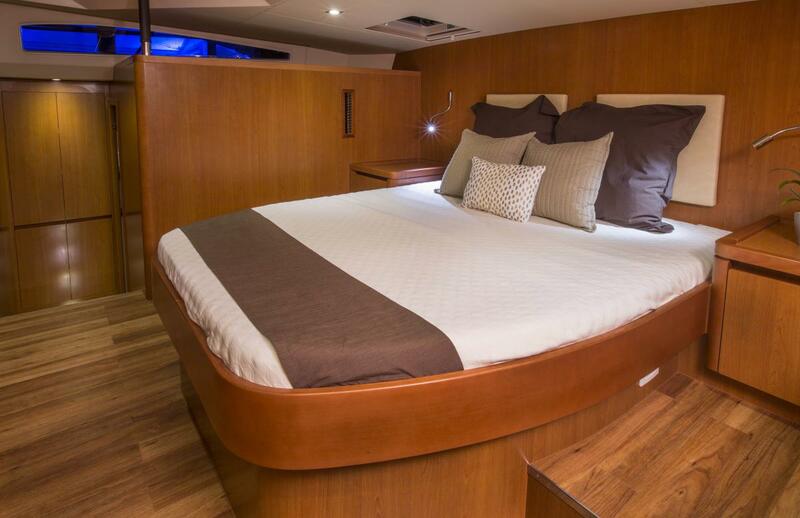 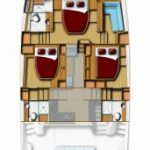 The 3-cabin, 3-head yacht features a forward cabin that spans her beam of 21′ 6″. 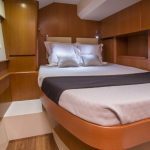 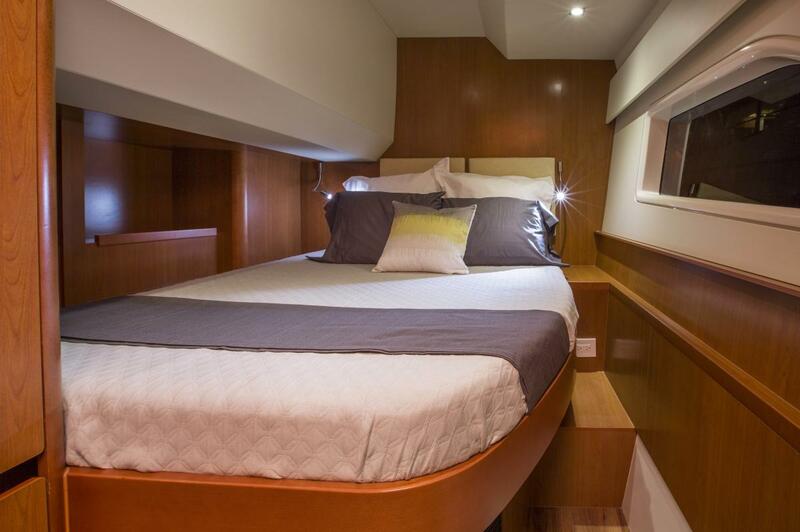 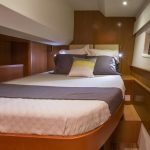 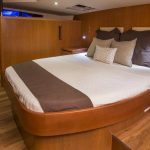 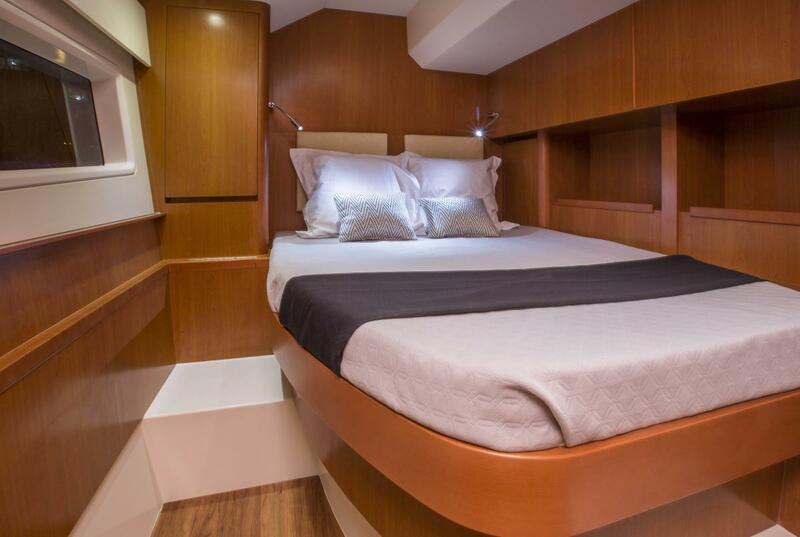 The port and starboard cabins offer additional spacious accommodations with ample storage, headroom, walk around berth access and natural light. 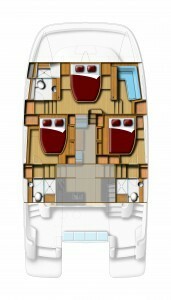 Each of the heads features electric fresh water flush systems (including watermaker), separate showers and teak flooring. 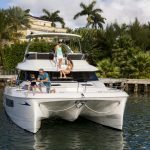 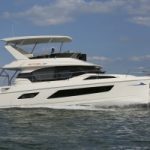 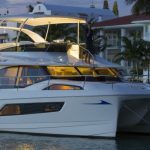 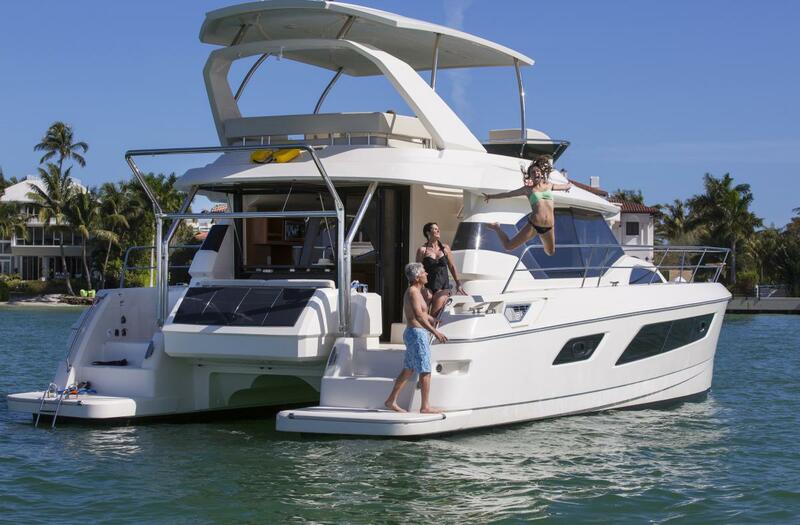 The flybridge of the Marinemax 443 has two seperate entry points including the forward bow steps and aft stairway as well. 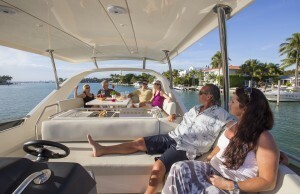 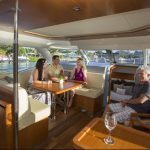 For enjoyability, on the oversized flybrige, there is ample seating not only at the helm station, but also around the table and adjacent to the wetbar behind the helm station. 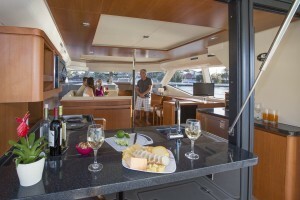 A popular gathering spot on the MarineMax 443 is the aft deck. 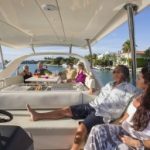 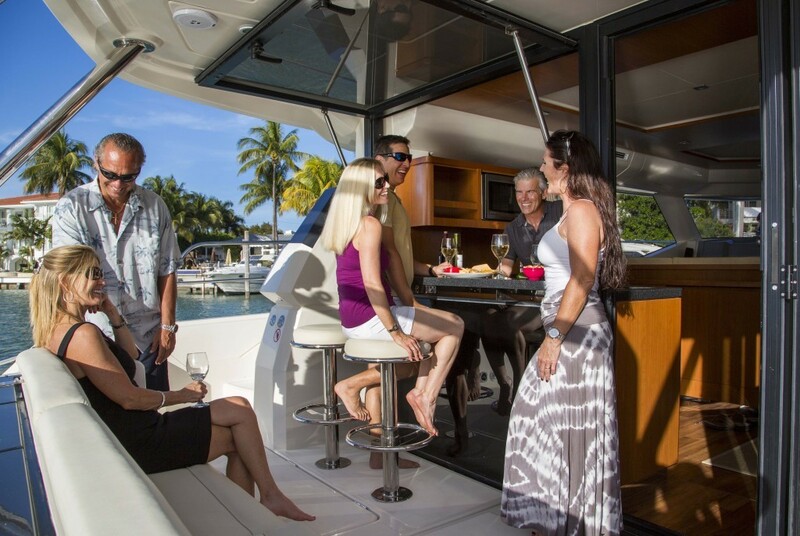 Complete with large bench seating and a flow through bar from the galley, this area offers one of the most sought after spots for fun on the boat.